Associate Professor Luke Knibbs conducts research and teaching on the health effects of environmental risk factors, with a specific focus on air pollution and bioaerosols (airborne particles of biological origin). Luke is an Associate Professor of Environmental Health and joined the School of Public Health in 2012. Prior to that, he did 3 years' postdoctoral training at the International Laboratory for Air Quality and Health. He has a special interest in understanding the burden of disease due to anthropogenic air pollution and transmission of respiratory pathogens via bioaerosols. 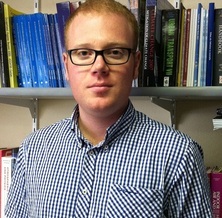 He leads a team of research students (PhD, MPhil, and Honours) and research assistants. The team use novel approaches aimed at improving exposure assessment for both of these risk factors. They also have an interest in children's environmental health, including prenatal exposures to air pollution and endocrine disruptor chemicals. The total research program spans individual-level experimental studies through to large-scale observational epidemiological investigations. They collaborate widey with leading research groups in Australia and overseas. Luke serves on the editorial board of Atmospheric Environment and is a section editor for the International Journal of Environmental Research and Publlic Health. Luke's teaching is at both undergraduate and postgraduate level. He is the director of the Master of Public Health program, and course co-ordinator for PUBH3009 (Environmental Health) and PUBH7032 (Children's Environmental Health). He also contibutes to PUBH7027 (Introduction to Environmental Health) and delivers guest lectures in other School of Public Health courses. Dr Knibbs has projects available at Honours, Masters and PhD level. Please contact him directly to discuss these. Wang, Q., Liang, Q, Li, C, Ren, M, Lin, S, Knibbs, LD, Zhang, H, Gong, W, Bao, J, Wang, S, Wang, X, Zhao, Q and Huang, C (2018) Interactive effects on of air pollutants and meteorological factors on birth weight in Shenzhen, China. Epidemiology, . A shift from motorised travel to active transport: What are the potential health gains for an Australian city? Airborne transmission of viral respiratory pathogens. Don’t stand so close to me? Global, regional, and national incidence and mortality for HIV, tuberculosis, and malaria during 1990-2013: a systematic analysis for the Global Burden of Disease Study 2013. Indigenous health and environmental risk factors: an Australian problem with global analogues? Traffic-related fine and ultrafine particle exposures of professional drivers and illness: an opportunity to better link exposure science and epidemiology to address to an occupational hazard? Knibbs, L.D. and Morawska, L. (2011) An investigation of commuter exposure to ultrafine particles in Sydney. Air Quality and Climate Change, 45 2: 15-20. Perret, J., Bowatte, G., Knibbs, L., Lodge, C., Johns, D., Lowe, A., Thomas, P., Giles, G., Morrison, S., Walters, E., Abramson, M. and Dharmage, S. (2018). Nitrogen dioxide is adversely associated with transfer factor of carbon monoxide in a dose-response manner. In: ANZSRS/TSANZ Annual Scientific Meeting, Adelaide, Australia, (39-39). 23-27 March 2018. Stockwell, R., Chin, M., Wood, M., Johnson, G., Sherrard, L., Jabbour, N., Knibbs, L., Morawska, L. and Bell, S. (2018). The spread of pseudomonas aeruginosa infection in bronchiectasis and COPD. In: The Australia & New Zealand Society of Respiratory Science and The Thoracic Society of Australia and New Zealand (ANZSRS/TSANZ) Annual Scientific Meeting, Adelaide, Australia, (82-82). 23–27 March 2018. Perret, J., Bowatte, G., Knibbs, L., Lodge, C., Lowe, A., Burgess, J., Thompson, B., Markos, J., Morrison, S., Marks, G., Tang, M., Walters, E., Abramson, M., Matheson, M. and Dharmage, S. (2016). Nitrogen Dioxide Exposure Is Associated with Increases in Serum Interleukin-6 Levels in a Middle-Aged Population. In: Respirology. , , (177-177). .
Bowatte, G., Lodge, C., Knibbs, L., Erbas, B., Dennekamp, M., Lowe, A., Perret, J., Burgess, J., Thompson, B., Morrison, S., Giles, G., Marks, G., Abramson, M., Walters, H., Matheson, M. and Dharmage, S. (2016). The Association Between Traffic Related Air Pollution Exposure and Allergic Sensitization, Asthma and Lung Function in Middle Age. In: Respirology. , , (177-177). . Which adult patients attend Cystic Fibrosis clinic regularly? Which exposure assessment approach is best suited to Australian epidemiological studies? (NHMRC CRE [administered by the University of Sydney] CAR Seed Research Grant). Modelling the effects of simultaneous exposure to multiple endocrine disrupting chemicals on fertility, birth outcomes and/ or infant development. Impact of built environment, personal protective devices and ventilation on the dispersion of respiratory pathogens.